The territory of Jordan is home to tenths of thousands of historic monuments, great sanctuaries and pilgrim places. The city of Amman is both cultural and administrative centre of the country. 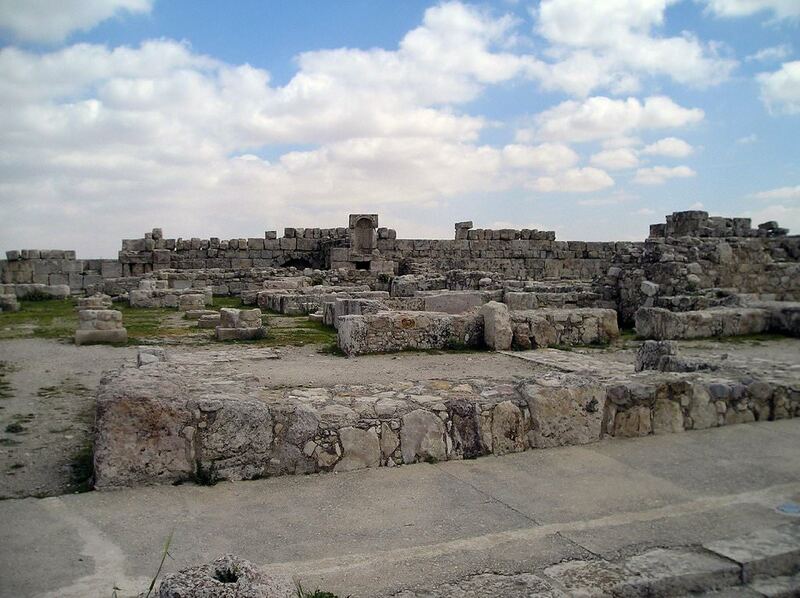 First settlers appeared on the territory of Amman 10 thousand years ago. Amman Citadel is one of main sights of Jordan. The beautiful ancient building is located in the centre of the capital’s downtown. Nearby you will see ruins of ancient fortresses and protective walls. Other important sights of the area include the Temple of Hercules, the Umayyad Palace and a Byzantine Church built in the 6th century. This part of the Jordan capital is a true paradise for scientists and historians as simply every centimetre of the holy land has great historic value. Artefacts found in the downtown are exhibited in the Archaeological Museum. Opened more than 60 years ago, the museum constantly gets new items that were found during excavations. The most famous cultural museums of the city are the Folklore Museum, the Museum of Coins, Jordan Museum of National Traditions and the Museum of Royal Cars. King Abdullah Mosque is an important religious sight. Even though this is a relatively young building, it is named in the list of most important shrines. Madaba is the location of an interesting landmark – St. George’s Church that was built in the end of the 19th century. The church keeps a priceless relic, a giant panel that is named “the map of the Holy Land”. The mosaic is 25 x 25m large and is considered one of the most precious items found in Amman. Other landmarks include The Head of St. John’s Cathedral, the Church of the Apostils, St. Elijah Church and Cardo Maximus Colonnade. 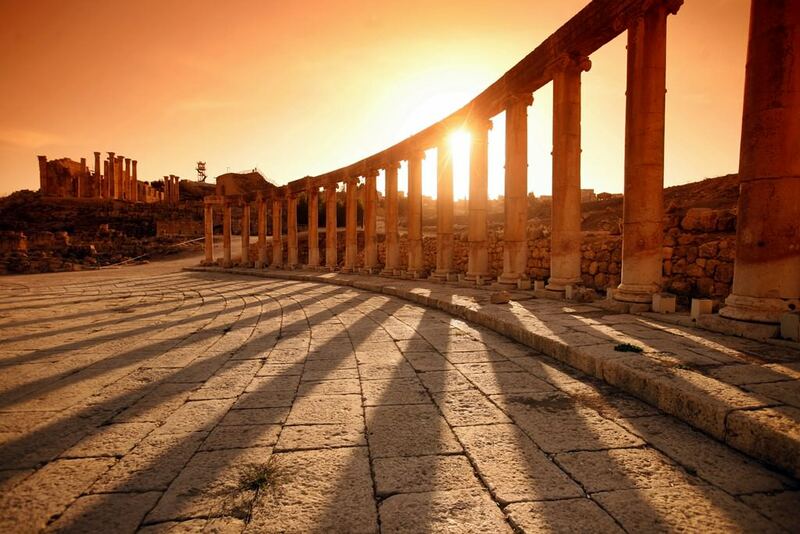 The city of Jerash is famous for its magnificent triumphal arcs, churches and other cultural facilities. Make sure you include a visit to such famous places as the Oval Square, Artemis Temple, the Glass Palace, the Temple of Zeus, St. Marian’s Church and the ruins of Atrium Mosque to your excursion program. There are also several museums in the city, with the Museum of Archaeology being the most visited one. The remains of ancient settlements found in the territory of the present country are one of the earliest on the planet. The age of the oldest artifacts found here is over 250 000 years. The largest settlements were formed here in the Bronze Age. At that time, ancient countries located here were under Egypt. In the ancient period, almost the entire territory was under the Nabataean Kingdom that was consequently conquered by Ancient Greece and then came to the Roman Empire. At that time, the country was called Arabia Petrea. During the reign of the Roman Empire, such big cities, as Irbid, Jerash, Pella and Gadara, were formed. Now, the ruins of these cities are important archeological districts in the country. At the beginning of the 7th century, the ancient country was controlled by the Arab caliphate. Islam started disseminating actively in that period. At the turn of the 11th-12th centuries, a lot of strengthening constructions were built in the country. At that time, Jordan suffered from destructive invasions of crusaders. In 1517, the country saw the times of the Ottoman rule lasting until 1918. After the collapse of the Ottoman Empire, Jordan became a British protectorate. It gained independence only in 1946. Over the recent years, the tourism sector in the country has developed significantly. A lot of world-famous, luxurious hotels, spa centers and upscale wellness centers have been opened here. Jordan is the popular place for the health tourism. Local wellness resorts use thermal waters and healing muds and practice climate and new manual therapy. Beach resorts are also elite here. There is a wide choice of well-equipped coastal zones in Aqaba. Fans of active recreation will be certainly impressed by the resort of Royal Diving Beach that includes a modern diving center, big pools, playgrounds and a lot of beautiful places to walk. The main peculiarity of this resort area is its crystal clear water. Here, you can snorkel and admire enchanting coral reefs here. This article about iconic landmarks and sights of Jordan is protected by the copyright law. You can re-use the content, but only under the condition of placement of an active link to www.orangesmile.com. 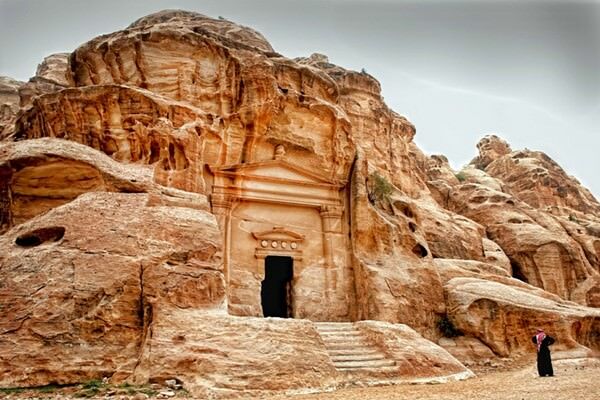 Little Petra Caves have placed near the Petra city, Jordan. Right here were found the unique marks on the wall painting. The paintings were made in the Hellenistic style more than two thousand years ago. It took three years to restore the paintings. It is hard to find the painting of such quality and rareness in the whole ancient world. On these paintings, you can see the shapes of the birds, plants and animals. The uniqueness of them is also occulted in the considerable dimensions. Now it is possible to visit the Little Petra Caves for free. It is quite popular sightseeing in the region. 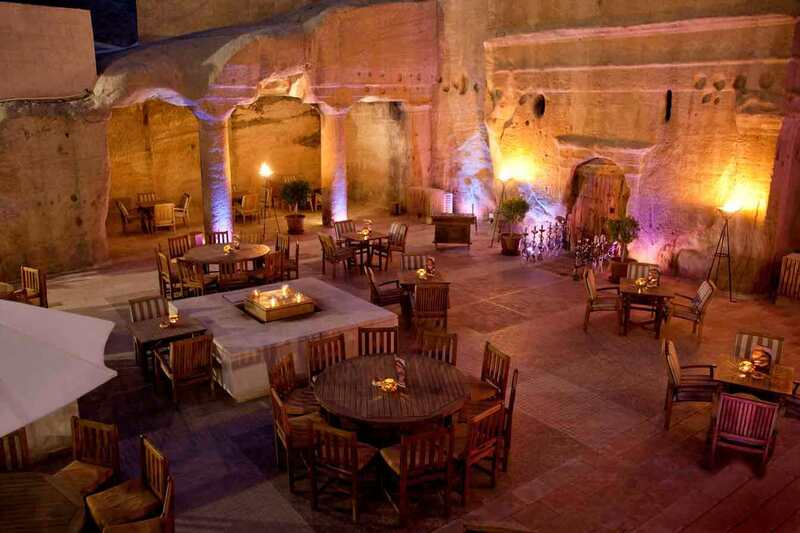 If you are fond of cave bars you have to visit the bar in Petra, Jordan. It is located on the territory of the unique hotel "Crowne Plaza Resor". The hotel and bar have become known all over the world due to their location – an antique cave. It was made by Nabateans, who inhabited these lands thousands of years ago. The tables in the bar are set on the small niches. The researchers suppose that earlier niches were used for individual burials. Some travellers feel scared just from the idea of the rest in such place, others overcome thousands of kilometres for visiting it. Another sacred object that is amazing from the historical point of view is the tomb of Aaron that travelers can visit in Jordan. 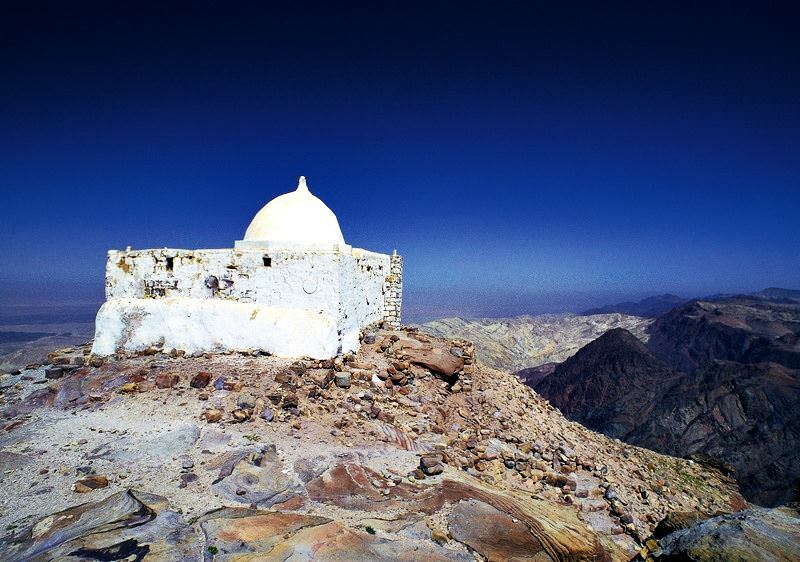 This monument is located near the city of Petra, in a remote mountainous area. A special physical training is not required to get to the top of the mountain. The Islamic sanctuary, which is located there, is known since the 14th century. According to historical records, it was built on the ruins of an ancient church of the time of Justinian the Great.